I saw the first of many lighthouses in Maine at Fort Williams Park in Cape Elizabeth, about a 15 minute drive from Portland. 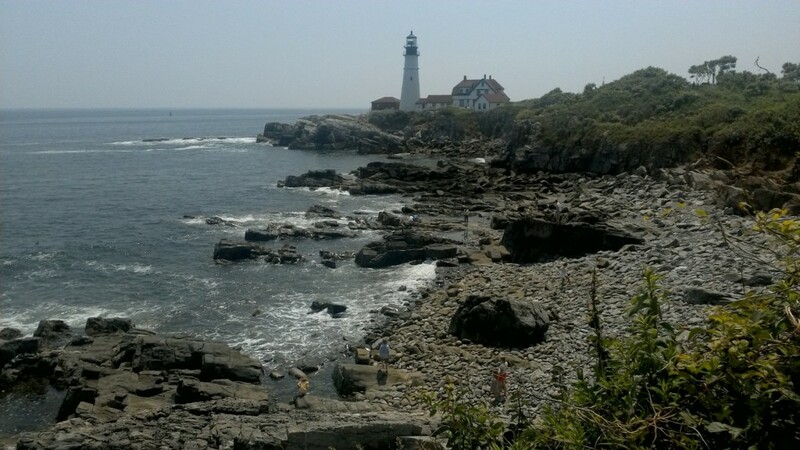 The Portland Head Light sits at the edge of the 90-acre site, which was a military fortification that proved useful during the world wars to protect Portland. The fort saw no combat action although an enemy submarine was spotted offshore. You can grab some great views of the bay and check out the old military bunkers. You can also visit the remains of the colonel’s mansion. There’s not much left to it these days. 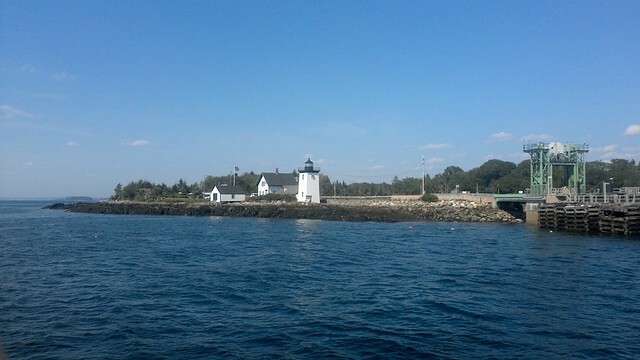 Midcoast Maine has some great lighthouses too, about an hour and a half north of Portland, A 15- minute ferry ride from Lincolnville to the island of Islesboro landed me at Grindle’s Point, where I braved a narrow stairwell and up a ladder to the tower overlooking Gilkey Harbor. Islesboro is breathtakingly beautiful and a favorite of celebrities, don’t ask me who. I believe Kirstie Alley used to live here. The homes are exquisite, elegant and way out of my price range. Be sure you get back in time for the last ferry, which left at 4:30 pm on the day I visited. They will leave you behind, said the teens who were probably just trying to scare me at the general store in the Dark Harbor shopping area.